When we take a lunch break from homeschool, I need that down time to just take a break for myself so I don't usually fix lunch for the kids. They are in charge of fixing their own lunches. We always have sandwich meat available but they often pull out leftovers and make a meal out of those. Over the years, their foraging abilities have gotten quite creative. Here is Nicholas' latest creation. He wanted a hot dog but we were out of hot dog buns so he used a flour tortilla. Then he added some baked beans on top of the hot dog. Hmm, not quite done though. He added some cheese to help stick another flour tortilla on top to make it a double decked dog. 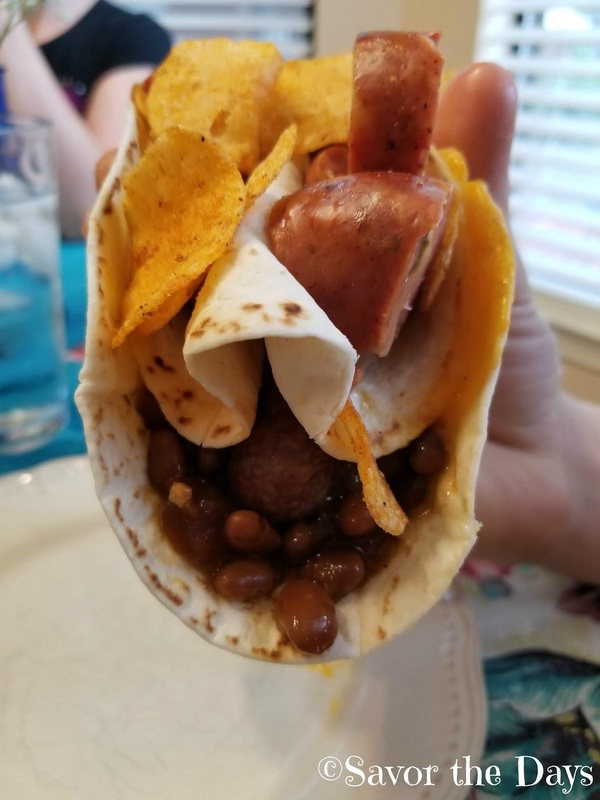 On the second layer he added some slices of jalapeno sausage and frito chips. Wow! What a creation! 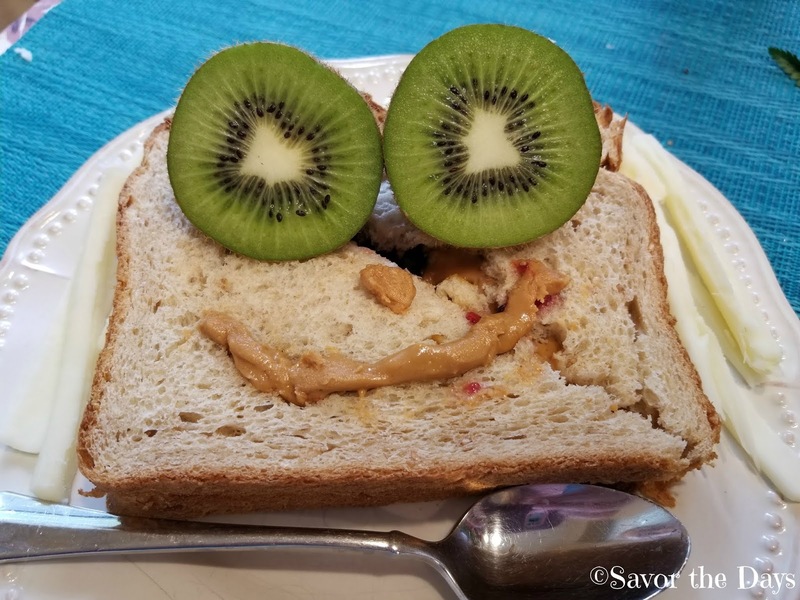 Not to be outdone, little sister jazzes up her PB&J sandwich by adding kiwi eyes, a peanut butter smile, and mozzarella cheese hair. These kids keep me smiling! Rachel Got a Golden Ticket!